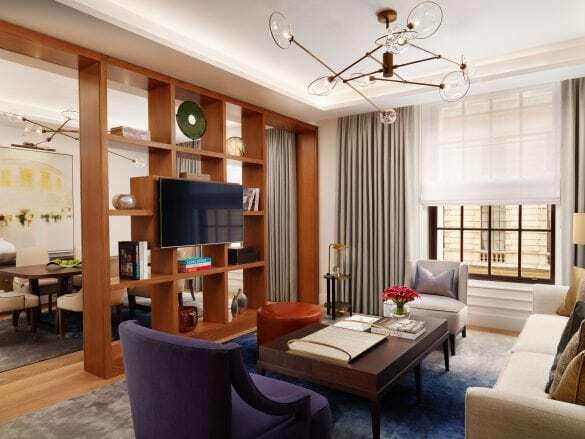 With opulent chandeliers, intriguing modern art, and abundant natural light, Old-World grandeur meets contemporary design at the Corinthia Hotel London in a most impressive way. 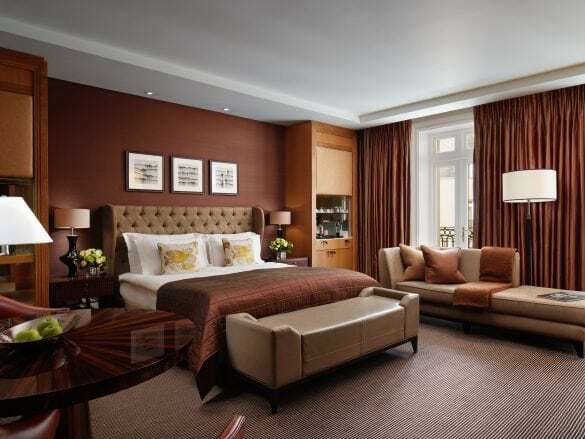 Throw in the prime location, five-star service, top-notch dining, and an incredible spa, and it’s hard to beat the Corinthia Hotel London. The location. 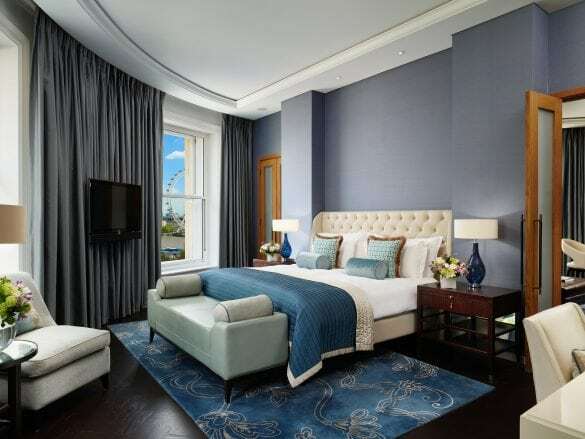 London is truly at your doorstep when your doorstep is the Corinthia. 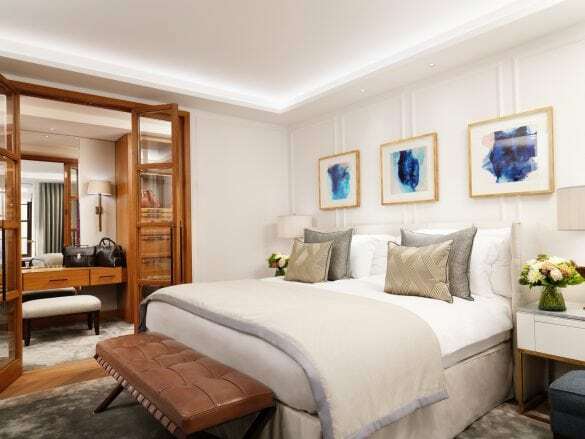 If you want to be in the thick of it all – and walking distance from iconic landmarks like Big Ben and Buckingham Palace – this is the place to be. Going to the spa. ESPA’s flagship spa, ESPA Life at Corinthia, is spread over four floors offering a steam room, amphitheater sauna, indoor pool, heated lounge chairs, ice fountain, nail studio, and 17 treatment rooms. Just thinking about it has us feeling relaxed and destressed! 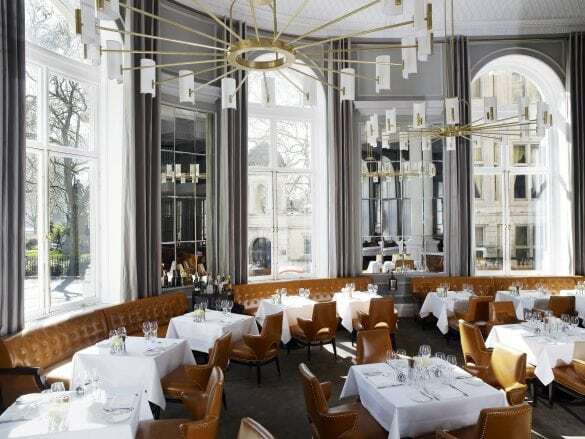 There are two restaurants at the Corinthia. The Northall is a grand setting to savor gourmet British cuisine prepared with fresh, seasonal ingredients. For afternoon tea, the Crystal Moon Lounge is raising the bar. 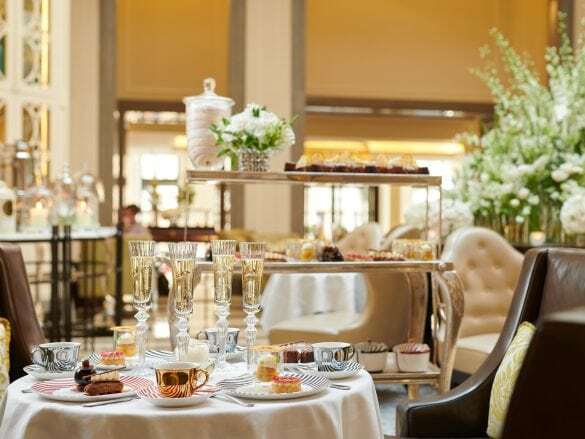 Sip on a glass of Champagne while the tea sommelier helps you pick from a wide array of fine teas to enjoy with gourmet finger sandwiches, scones, and pastries. In the evening, relax at Bassoon with an expertly crafted cocktail. 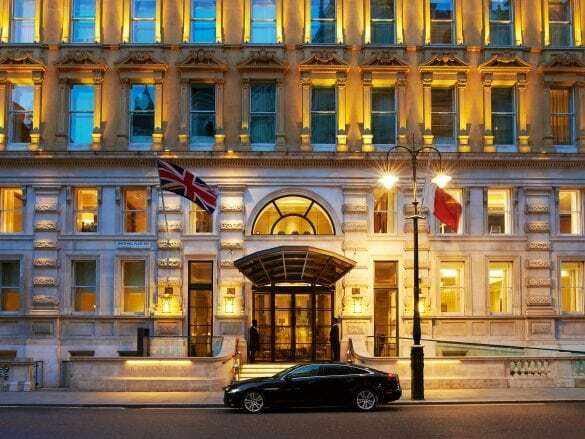 The Corinthia Hotel London is located in Westminster, perfect for visitors who want to see Westminster Abbey, the Houses of Parliament, Trafalgar Square, and Covent Garden. Plus, the Embankment tube stop is just across the street so you can easily get around the city. Fly into London Heathrow (LHR) or Gatwick (LGW) and take a taxi to the hotel. Your Brownell Advisor can also arrange for a private transfer. Even if you have a jam-packed London itinerary, make time to indulge in the award-winning spa.